Former Tommy Bolin manager Barry Fey has died at the age of 73. The Boulder local newspaper suggests that Police are investigating his death, which may have been suicide. 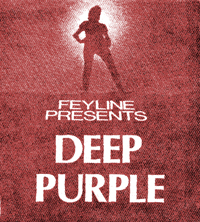 Although Deep Purple fans will know him primarily through the Bolin connection, Barry did promote a number of Deep Purple shows in America via his agency Feyline before Bolin joined. His promotion of live music however began a decade before that in the Chicago area in 1965 before he moved to Denver two years later. He also promoted the famous U2 Red Rocks concert. There is a link here to the local newspaper article. Thanks to Tim Summers. That book is news to me – I know from reading various accounts that he had a sort of love/hate relationship with Tommy (similar to the one between Jimi Hendrix and Michael Jeffrey) – the straight business guy collides with free spirit/creative type… There’s a local TV interview show that’s online where Fey insists on talking all over Tommy’s comments – not a great way to promote your artiste! Read the book about Tommy by Greg Prato and you will not be surprised. Having read his book “Backstage Past” I found it rather strange that there was no mention of Tommy Bolin who I thought had a big connection with Barry Fey. Obviously Barry did not think enough of the connection to mention it in the book. Sad that he has died and sadder still that he apparently took his own life.